Another one knocked off, thanks Crystal Chinchompa, Tortle, and Grenwalls for making the final levels of Hunter so fast. 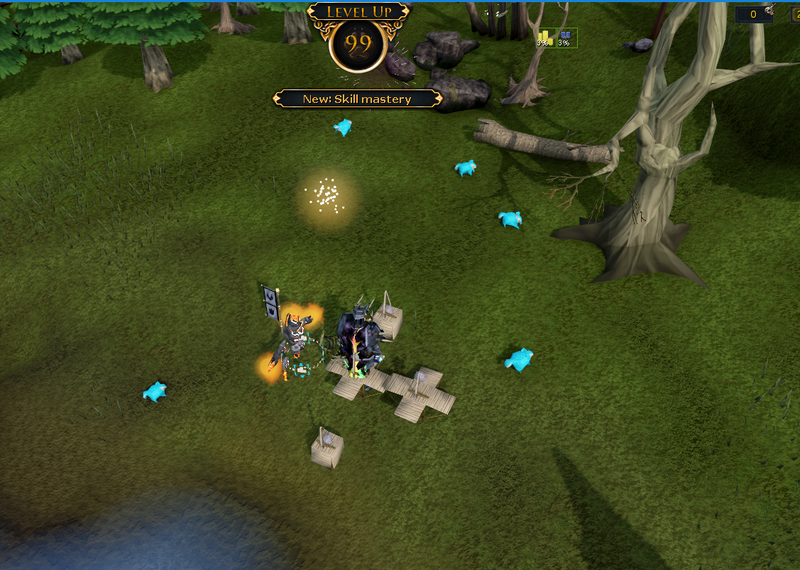 99 Hunter on RuneScape, finally! 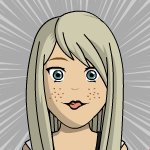 Hello M3RCILESS! Have a great weekend! What does everyone think about the rs economy based on currently active players? I've been studying a lot of different items and am noticing that a lot of rare items are going down in price and not coming back. Thoughts on this? Does playerbase directly impact price of items? 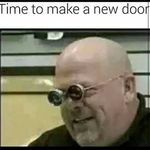 Will items gain value again? If so how long untill you think we will see an improvement? Just a friendly discussion to engage. I think the market is largely influenced by a handful of clans(or groups). They horde the rares until they're bored with them, and then invest in something new once they feel the profits have been exhausted. It's unfortunate because they take advantage of other players and are able to manipulate prices in their favor. I feel there should be days between buying rares on the Grand Exchange, not hours. With time everything usually evens itself out, I would never bet on a rare not beginning to increase in price eventually. After close to 10 years of casually playing finally got 99 hp and added a trim to my defence cape!! Grats MemesDoge! 99 HP was one of my favorite capes to achieve on RuneScape. 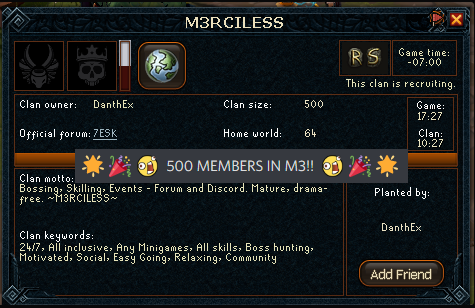 Our M3RCILESS clan of RuneScape has reached 500 MEMBERS! So, does anyone here have the full Black Ibis set from Pyramid Plunder? If so, how long did it take for you to get it? I've had very bad luck with Pyramid Plunder and I thank the heavens RuneScape introduced safecracking.